e-Con Solutions offers nearly 20 years of focused, expert, experience with CPQ for Microsoft Dynamics. Our proven, innovative toolset brings together everyone and everything involved in configuration, from first glance at your offerings through after-sales. 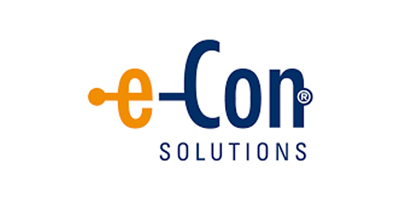 More than 500 businesses and 25,000 users in 25 countries use e-Con every day to turn complexity into success. At e-Con Solutions we think your choice of a configurator should be simple as well. In a nutshell: if your business uses Microsoft Dynamics 365 Sales, Finance and Operations, Retail, Service, Business Central or an older version like AX, NAV or CRM, you can count on e-Con as both the simple choice and the best choice for all flavors of sales and product configuration.